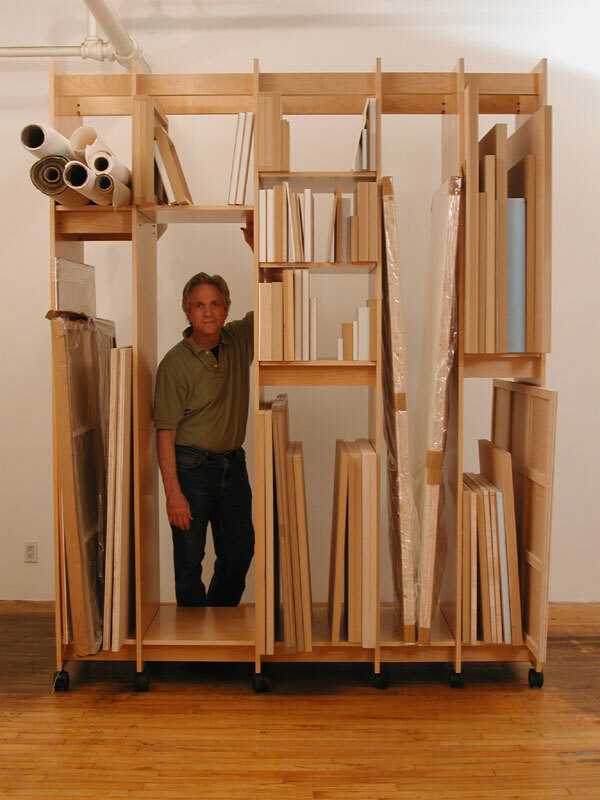 Art Storage System Mobil Painting Rack for Storing paintings, prints, drawings, sculpture, and all other fine art. Art Storage System 83.25" wide. 12", 12", 18", 12", 12", 12"
83.25" wide, 99" tall, 23.75" deep.